Children will love the cleverly designed split level play area, having playhouse above and shaded area underneath, ideal for a sandpit or bark chipped area. 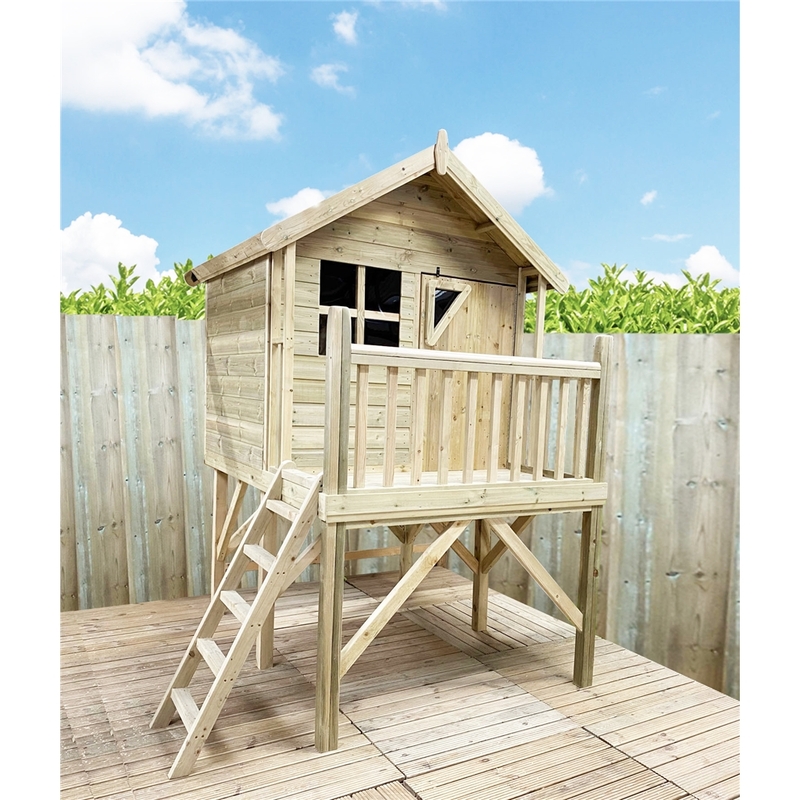 Your children, grandchildren and their friends can enjoy hours of fun in this hugely popular Playhouse, which is carefully manufactured to meet the exceptionally high safety standards of European Toy Standard EN71. The depth shown includes the 1’11" (0.33m) veranda. In addition the Tower features a front balcony with balustrading and an access ladder.